What kind of as just says oops?!?! How can you accidently kill yourself AND die of skin cancer? 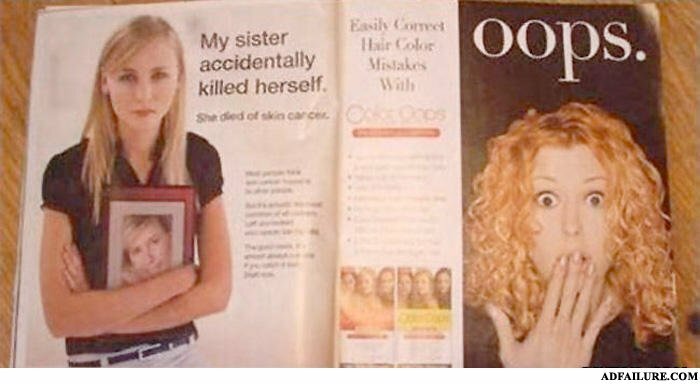 With every bottle of L'oreal hair die, she was killing herself. Yeah, the razor blade slipped... Honest! What do you callan african american in KFC? A had working american with a average profit, trying to make a living.